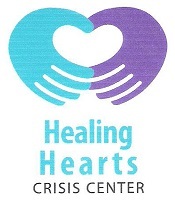 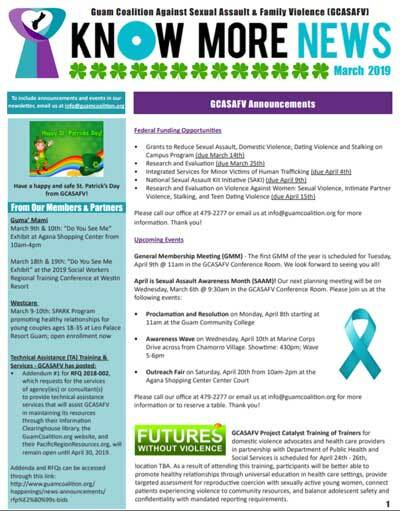 The Guam Coalition Against Sexual Assault & Family Violence (GCASAFV) is a non-profit organization whose members are other community-based providers, government allies, and individuals who address sexual assault and family violence issue on Guam. 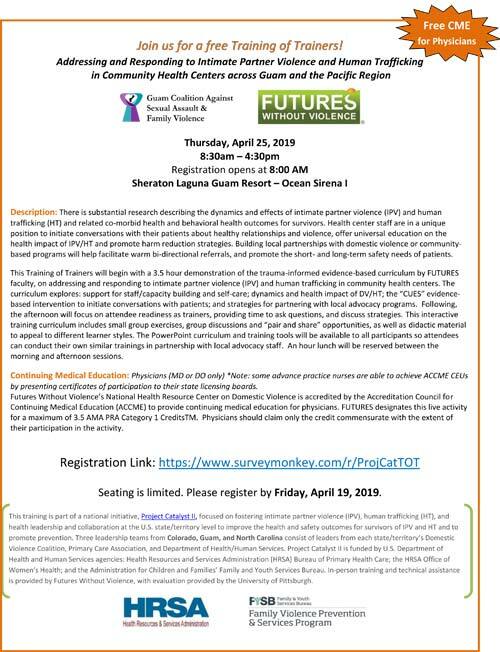 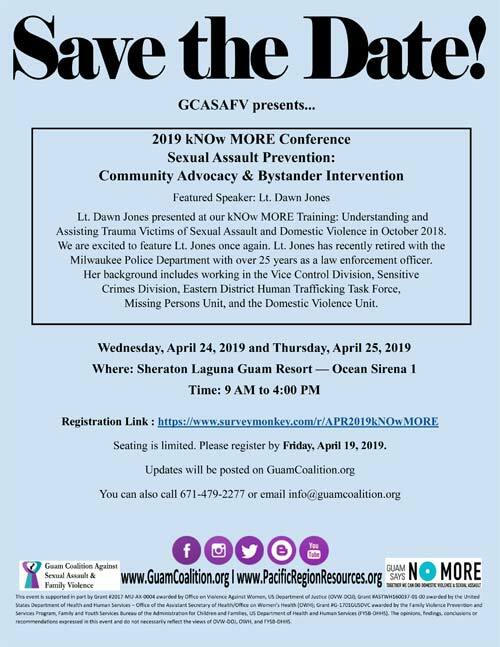 Event: "2019 kNOw MORE Conference Sexual Assault Prevention: Community Advocacy & Bystander Intervention"
Read more about 2019 kNOw MORE Conference Sexual Assault Prevention: Community Advocacy & Bystander Intervention - Register Today! 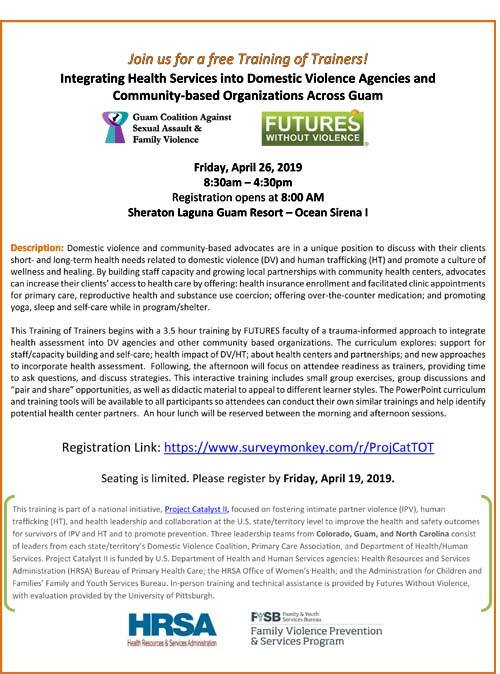 Event: "Project Catalyst II: Training of Trainers"
Read more about Project Catalyst II: Training of Trainers - Register Today!